What's new with EnhanceTV for Term 4, 2018? If you are apart of a School account, you now have the ability to upload your own content to EnhanceTV! UGC now gives you and your school the ability to view uploaded content in our video player. Each school is automatically assigned 10GB of free storage. There are also 3 privacy settings to UGC, Your School, Your Teachers or private. 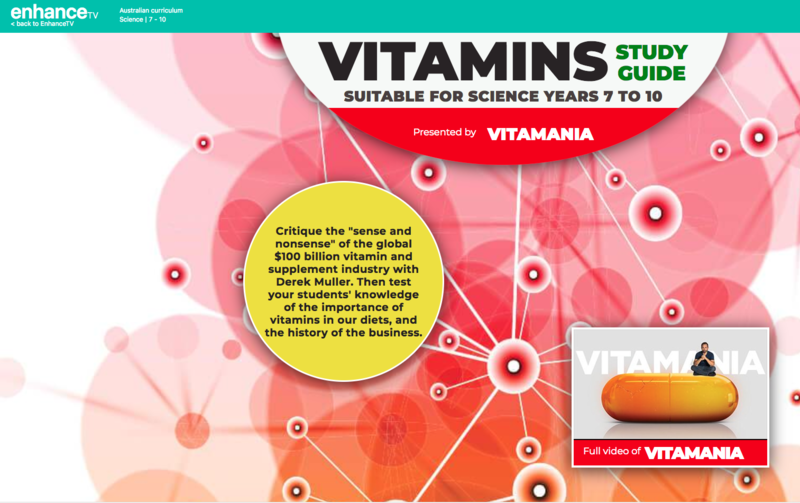 We are currently rolling out our new look interactive study guides, click here to see our Vitamania study guide. We have recently updated our Quiz section! There is now a fun leaderboard, Click Here to find out more about the EnhanceTV Quiz 2.0 update. 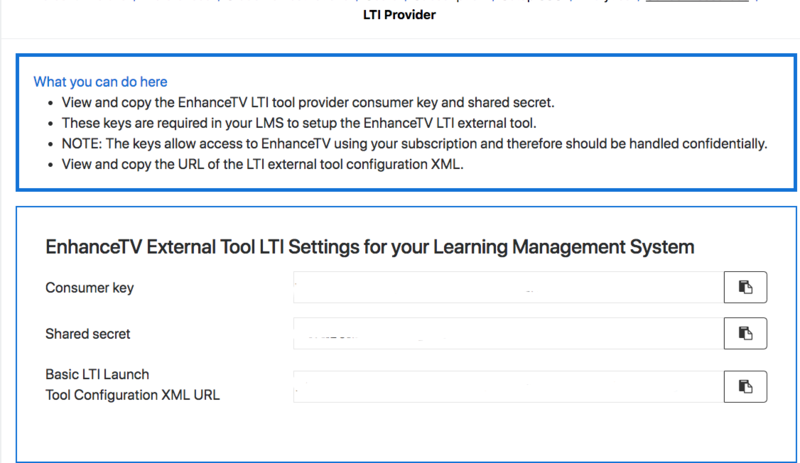 You are now able to embed an EnhanceTV video into a LMS. To learn more about embedding, click here. We have recently updated the player which now includes the ability to choose your video quality, skip forward or rewind back 30 seconds, adjust the playback speed and in browser caching. To learn more about the update, click here. EnhanceTV provides LTI to allow teachers to create on-line course material that includes clips and programs sourced from Free to Air TV through the EnhanceTV's streaming platform. The LTI currently works with Schoolbox, Moodle and Canvas. Click here for more information about our LTI. We have been working on our EnhanceTV search function, now when your search does not find what you are looking for, the search will then give you a Did you mean list.